Denmark Real Estate Agency | Jess Adams atrealty | Why Choose Us? 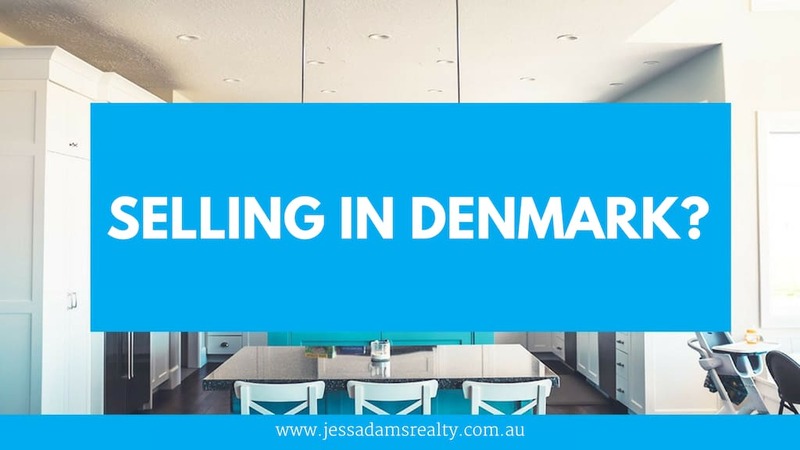 If you are in search of a modern and proactive Denmark Real Estate Agency with years of Real Estate experience and in-depth knowledge about the Denmark Real Estate market in WA, then Jess Adams @realty, based in Albany, is the fresh alternative you’re looking for. We work hard (and smart) for the sellers in Denmark, and are a team of two (mother-son) professionals – an ideal blend of real estate experience coupled with state-of-the-art technological advancement. You get the know-how of a Denmark Real Estate Specialist who has many years experience in the Industry as an independent licensee plus the added benefit of a 26-year-old digital marketer to finetune the best marketing strategies to suit your needs, budget and property. We have a particular affinity to beautiful Denmark as we used to live there before moving to Albany, so know and understand the uniqueness of this particular market well. Jess Adams @realty is an independent business that chose to be in association with a large, national company called @realty for the many benefits they provide us and our sellers. @realty is one of Australia’s most advanced Real Estate service providers. They provide their associates with the perfect blend of state-of-the-art digital technology with the best of traditional Real Estate methods to ensure you get the best service possible by highly trained, local agents. @realty recently won the prestigious ‘Innovation of the Year’ Award for their innovative marketing methods and forward-thinking approach. They provide world class services for a very fast growing, nationwide network of 500+ Independent Real Estate Associates. What does this mean for you as a Denmark Real Estate owner? @realty only associate with experienced agents that are willing and able to adapt to the quick evolving Real Estate market trends to service their sellers best. They offer their associates regular training and updates on the latest technologies in order for them to stay ahead of their competition. This allows all associates to offer their sellers the best possible marketing options and personal, locally based service for each individual property – at a very affordable selling fee. The ultimate goal is to maximise exposure to the right potential buyers to achieve the highest possible selling price for our clients, in the shortest possible time period. Bulk buying strategies for 500+ associates serve to reduce overheads while allowing us to offer our sellers a huge amount of website exposure for free. @realty also provides their associates with professional marketing and digital experts, conveyancers, lawyers and financiers for the benefit of the agencies and their sellers. We believe in giving our listings maximum exposure through well planned, innovative, proactive digital marketing campaigns on buyer-targeted social media and on more than 105 national and international websites. All 105 standard website services are provided free of charge to our sellers. To ensure that we don’t miss any opportunity to get our properties sold, we are always happy to conjunct with all other agents, regardless of who they are or where they’re based – including all local agents. All 500+ associates share a national database of potential buyers and sellers, so we work together as a well-organised team to find buyers and sellers for our farm areas. This includes our Perth and WA associates, who are particularly valuable to us as Denmark buyer statistics confirm a very high number of non-local buyers for Denmark Real Estate. You’ve got to be seen to be sold. Statistics show that roughly 97% of serious buyers search online to their specific requirements – so that is where you need to be found to attract buyers’ attention – regardless of which search portal the buyers might prefer. We use only professional photographers and videographers in order to grab buyers’ attention at first glance, which means your property will have a better chance to be chosen for a viewing. After all, we need feet through the door to get pen to paper and negotiate the best possible deal for our sellers. As a progressive and proactive Denmark Real Estate Agency, our focus lies on creating custom marketing campaigns for our clients to suit their budgets and the needs of their individual assets/properties. The online world provides enormous opportunities for creating buyer-centered campaigns so we use the very latest tools at our disposal to innovatively get your property noticed by the right kind of buyers for each property. We know that it can be very stressful choosing the right agent to market your most valuable assets, so we would welcome the opportunity to explain how we can help you attain the best possible result with the least amount of stress. We will guide you through all the steps to make it as easy (and even pleasurable) as possible to be on the market. We work very closely with our sellers through the entire process, so we value your input into the kind of marketing you believe will best suit your individual property. We also acknowledge that nobody knows your property better than you. When you decide to join the team, it could become an exciting joint effort in finding the right buyer as quickly as possible. You can play a vital role, or sit back and relax while we do what we do best. We can also guide you through the process with practical advice on how to present your property at its best so we can get the highest possible price. You will feel a lot more relaxed about the whole selling process after a chat with us. It’s been said that selling your property can be as stressful as going through a divorce – but we’ve proven that by choosing our professional team, the whole process could be a lot less stressful than that – even fun. If you’re considering selling your Denmark Real Estate property or are frustrated with the lack of action you’ve had from other agencies, then consider our fresh, yet proven approach to help you get the best possible price, exposure and service. We specialise in units, vacant land, residential homes and lifestyle properties. We cater for properties in all price classes, so whatever you have for sale, give us a call and we’ll help you. For your own sake, ensure that you contact us for a confidential chat and appraisal before making your final decision on which agency to employ to sell your biggest investments. It’s a major business decision concerning your hard-earned money, so start by giving us a call to explore your options. We offer professionalism, enthusiasm and positive energy – and really want your business, so please contact us via. phone or the form below today for a friendly chat or to book an obligation-free 15-minute appraisal. We look forward to helping you on the journey of selling to sold. We also serve the Mount Barker and Albany Real Estate markets.